i absolutely love cats. so much that T spends lots of time making fun of me for it. i love cats so much i'm surprised i don't have any cat clothing or accessories (i must clarify: for myself). 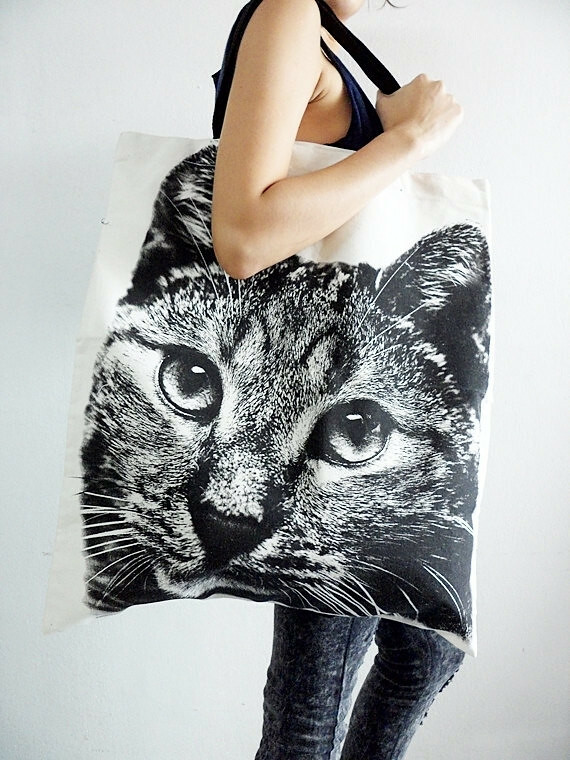 look at these adorable items on etsy here (tote) & here (dress). 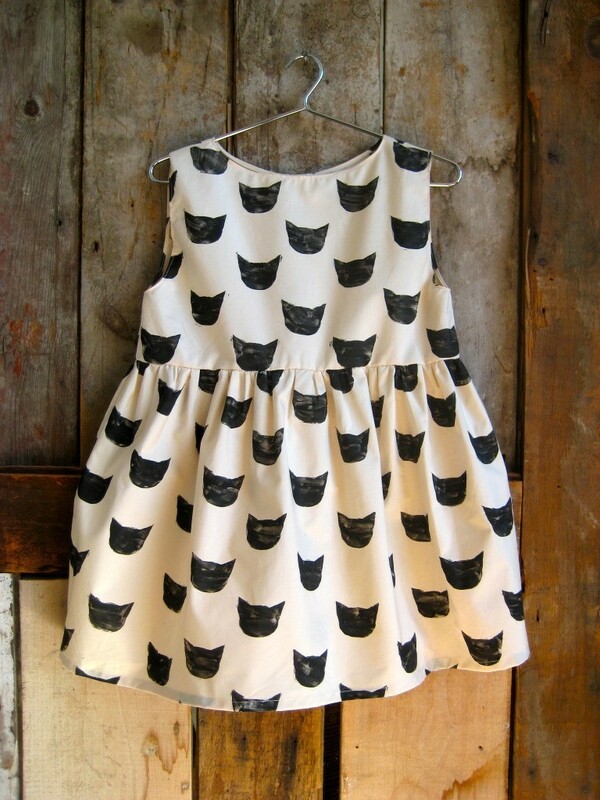 i'm almost inspired to make some cat wrapping paper with the print of that dress...i know, i'm obsessed.